Jordan’s announcement yesterday that it will upgrade its diplomatic representation in Syria attracted wide international and local media coverage. 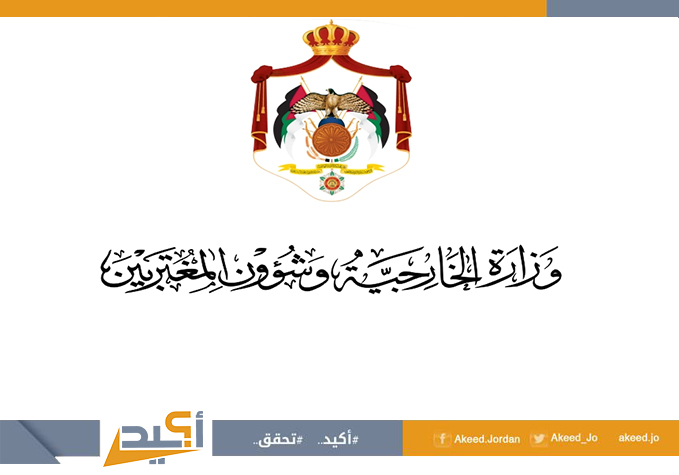 Jordan Media Credibility Monitor “Akeed” revealed that more than 29 news items; 17 in international media, and 12 in local media outlets covered the news. With the exception of one article and one interview, these items have merely reported the event without providing further analysis. In seven articles, 24%, the writers tried to express their own opinions or had a suspicious tone, (most linked between Jordan’s recent move on the one hand, and the position of other Arab countries such as the UAE and Bahrain towards Syria, on the other). They also questioned whether such steps were just the first moves towards bringing Syria back into the fold - with a noticeable use of the word normalization of relations). There were also attempts by some writers to discuss the issue in a more comprehensive manner through exploring several opinions. However, these articles merely reflected one single opinion; either the writer’s or the opinions of the body he/she represents. Weeks ago, several articles provided analyses on the restoration of ties between Arab states and Syria after they were ruptured with the Syrian regime years ago following the Arab Spring. Before news broke of the upgrade in diplomatic representation, earlier reports had indicated there were signs of détente. Others quoted prominent figures who called for pushing bilateral relations forward. Following the announcement, other news items moved a bit further to discuss “exploring the possibility of reopening airspace between the two countries”. Interestingly, the word “normalization” has recently been used to describe the rapprochement between Jordan and Syria. The expression has also been used to refer to the improved relations between other Arab regimes and Syria lately. This marked the first time ever the expression is used in new contexts – other than to describe relations with the Israeli Occupation. News of improvement in relations between the two neighbors have been flowing since the reopening of Jaber-Nassib border crossing with Syria a month ago. These talked about resuming bilateral ties at all levels including investment, and cooperation between Jordanian and Syrian lawyers. Statements by Jordan’s Minister for Foreign Affairs and the Expatriates Ayman Safadi on occupied Golan Heights following a meeting with his American counterpart Mike Pompeo several weeks ago have also received huge media attention. A special report was prepared by Akeed on the issue. Join the newsletter so as not to miss interesting events. We do not send spam. It is one of the projects of the Jordan Media Institute, which was founded with the support of the King Abdullah II Fund for Development. It is one of the instruments for holding media outlets accountable. It operates in accordance with a scientific methodology by examining the credibility of what the Jordanian media outlets publish based on declared standards. All Rights Reserved ©2016 AKEED.